* ﻿Every time the Web Applications are updated it is highly recommended to clear the browser cache in order to avoid unexpected system behaviour. 2. 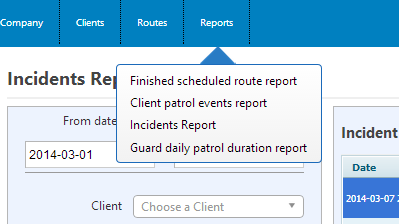 The automatic incident reports are now attached to the email, PDF documents, instead of links. 1. Advanced Web App runs as Stand Alone with SSL support, with increased performance. 2. Added new functionality for adding and editing those company users (CompanyUsers) that would have the ability to receive e-mail and SMS alerts. You can add, edit and delete the user data. 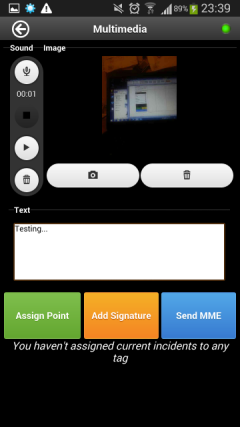 Adding an e-mail to a user and checking the Receive e-mail Alerts option, the user would receive alert e-mails when a company guard sends a SOS signal from the mobile application. 3. 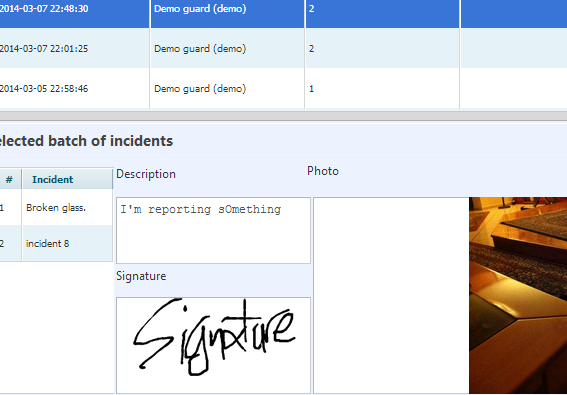 Added new functionality for viewing and partially edit the company guard’s data (Company Guards). You can edit guard’s name and pin and you have the ability to export the company guard’s data to Excel. 4. 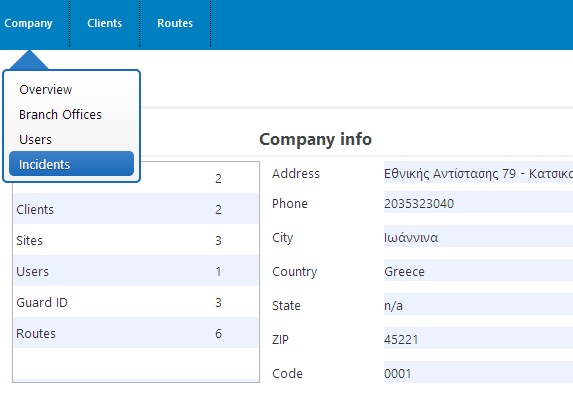 Added new functionality for viewing and partially edit the company check points (Company Check Points). You can edit the point alias, client site code, etc. Editing a point’s data gives you the ability to copy the checkpoint’s code, so as you can use it to some other action you may wish to do. Finally there is the ability to export the checkpoints data to Excel. 5. 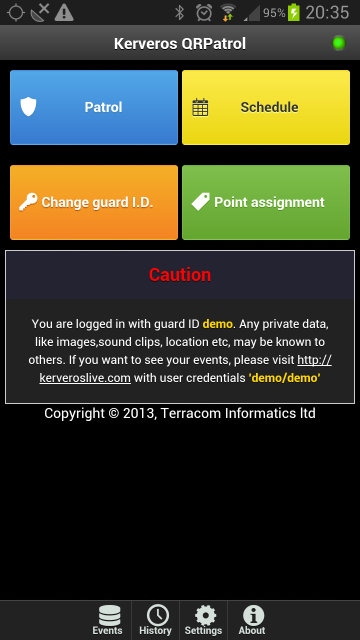 Added new functionality that you may add some instructions, filling in the Point Notes field, so that the guard can receive them at the mobile application, and read some extra actions that must do, when checking a particular check point. Those instructions could be viewed through the Schedule of the mobile app and automatically after scanning a QR code that has such notes assigned. 6. 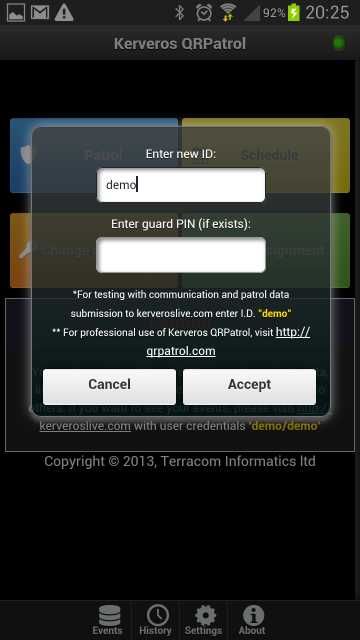 Added new functionality to company clients (Clients Clients List), that filling in a valid e-mail address and checking the Incident Report by Email, the client will gain the ability to receive automatic incident report to the specified e-mail, when a guard reports an incident at a client’s check point, from the mobile application. 7. All the data from the e-mail send from the application (alert, faulty schedules, incidents), are being kept in database for future reference. 8. Added the company details to the header of each application report. 9. The report previews are opening in a new browser’s window/tab without the need of saving them first locally. 10. Became various functional and aesthetic improvements in various points of application as filters, fields of search, lists, preselected prices etc. Also on the Advanced Web App and on the route scheduling added the "Ignore points order" option for the loose schedules. 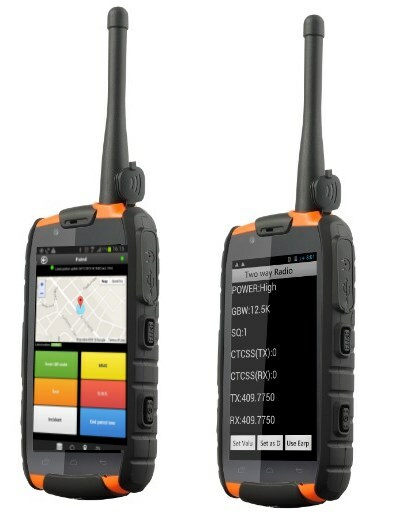 New QR-Patrol version. Actually it is a completely new system! Added the ability to switch between languages (in settings). Currently only English and Greek. More languages can be easily added in the future. Added the track button. When it is pushed can be shown the position in the map of all our guards. Especially if in the mobile app is chosen the tracking option, the position is updated in real time! Added the “Last latitude”, “Last longtitude” , “Last accuracy” columns. We can also define which customer’s sites belongs to which of our branch. From the menu Clients we can define our customers and their sites. Users will be added in the future. 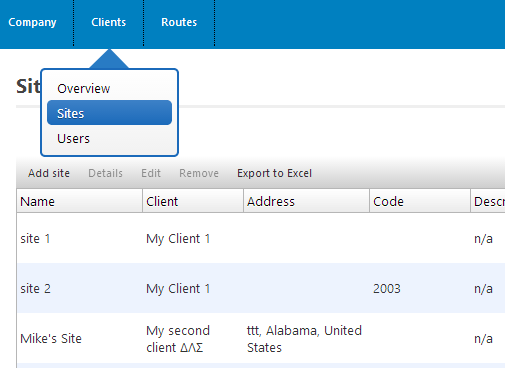 From the menu Routes we can define the scheduled routes. We can define if this route is to be patrolled by a specific guard or by anyone. We can define if this is a Loose schedule, so we demand only to be checked and we do not care about the time. We can define if this is a Recurrent route and the type of the recurrence. We can also define if we demand to be notified in real time by email if a check point fails to be checked, or fails to be checked in the right order, or failed to be checked in the right time. We can take every time we need to, the Finished schedule routes report, which shows in details what happened with our scheduled routes. That’s it! For more please ask us to arrange a live demo for you! What we will see next? *API to connect to other security software, such a CMS, alarm receiving, alarm automation, etc.